In everyone’s walks of life there are hazards and as our age increases so do the hazards. Statistics show that the majority of senior’s accidents take place in their homes. Frequently accidents take place in the kitchen, bathroom, and bedrooms. However, knowing the common accidents that may occur in your home and how to avoid them is half the battle. Fixing these simple overlooked hazards can save you from a accident. Please review these ares in your homes for hazards and check them off as you go along. Like what you read? Please like and share below! Also leave us a comment on what you like us to write about. Everyone has an incidental Senior Moment. Perhaps you’ve gone into a room and do not remember why, or have misplaced something. Do not fret memory lapses can occur at any age and it is natural to have them from time to time. However, when significant memory loss is noticeable, it is typically not due to aging but organic disorders, brain injury, or neurological illness. Please see a doctor if you have observed these traits in yourself or a loved one. Now several studies have shown that you can help prevent memory lapses and reduce the risk of dementia with brain stimulation and basic good health habits. Examples include; riding a bike, swimming at a slow pace, walking briskly, jogging slowly, using a treadmill, and dancing. It is during sleep that our body and mind regenerates itself. Do not smoke or drink excessively. Both hinder higher brain functionality. Eat a balanced diet low in saturated trans fats. Choosing the correct foods makes a substantial impact on your brains functionality. Foods such as leafy greens, avocados, and berries have all been linked to positive brain health. By keeping your mind active it will keep you sharp and reduce your senior moments. Challenging your brain with mental exercise is believed to help preserve brain cells and stimulate communication among them. Try pursuing a new hobby, learning a new skill, puzzles, mental math, and drawing. The more senses you use in learning something your brain will become more involved in retaining the memory. For example your recall on songs is much stronger compared to when you memorize something without a tune. This is because you are using two senses hearing and singing the lyrics. When you want to remember something you’ve just heard, read, or thought about repeat it out loud and write it down. By doing so you have reinforced your memory. Repetition is the most crucial step in memory preservation when it is properly timed. It is not best to repeat something in a short period. 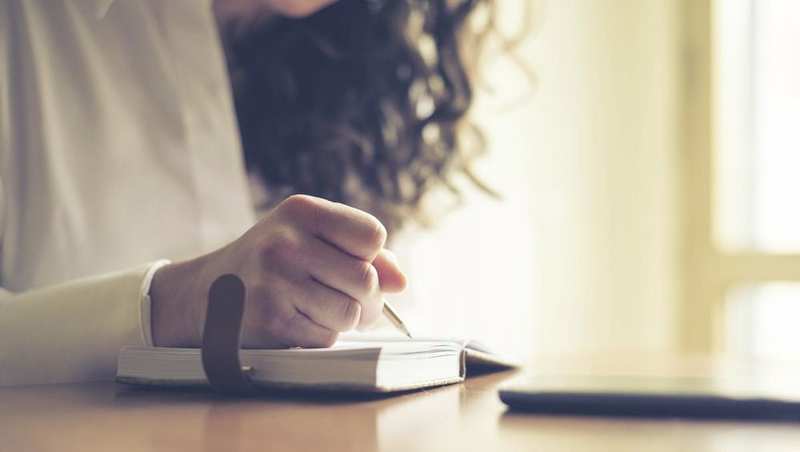 By spacing out periods of mental stimulation it helps you improve your memory and is particularly valuable when you try to master complicated information. As winter continues it is easy to miss the colors of the outdoors. Spruce up your home with an indoor plant and bring some of color back into your life. Not only are indoor plants aesthetically pleasing but they also provide a breath of fresh air. Live plants interact with your body and soul to enhance your quality of life. As you breathe your body takes in oxygen and releases carbon dioxide. Which the plant absorbs and releases oxygen. This pattern makes plants and people natural partners. By sprucing up the indoors with color you are also increasing your oxygen levels in your home, helping you breathe easy. We spend the majority of our lives indoors, so the quality of your air indoors is essential. Plants are the world’s first air purifier. They naturally remove various toxins from the air and break them down into harmless byproducts. Sources of air pollutants can be found in everyday items such as; fuels, furnishings, and clothing. January is National Glaucoma Awareness Month and is an important time to spread the word about the vision stealing disease. Glaucoma is a rising epidemic as it affects nearly three million people in just the United States and accounts for up to 12% of all cases of blindness. Glaucoma is a group of eye diseases that gradually steals your vision. The disease is nicknamed “the sneak thief of sight” as it has no symptoms and once your vision is lost, it is permanent. Early detection is vital to stopping the progression of this disease. With a proper diagnosis medication or surgery can slow or prevent further vision loss. As stated by leading Ophthalmologists and the American Academy of Ophthalmologist there are several groups that are at higher risk for Glaucoma. If you qualify for more than one of these risk factors you may have a heightened risk of Glaucoma and should speak with an Ophthalmologist. Early diagnosis Glaucoma is vital and periodic comprehensive eye examination with an Ophthalmologist will help. If recognized in the early stages Glaucoma medications and surgery can slow the progression of the disease. For further research refer to the following websites. When a loved one is diagnosed with a severe life altering disease such as Alzheimer’s or dementia it is indescribably painful. Knowing that you will have to witness the deterioration of a loved one’s mental state. However, learning how to communicate with your loved one as their disease advances is important and rewarding. Here are some communication tips from the Alzheimer’s Association. Don’t Say Remember Frequently your loved one will be unable to remember various life events or people. By pointing out their inability to do so you will frustrate them. Instead of saying remember speak in statements that will help them remember. For example, say “This is your John, your grandson” not “Do you remember John”. Also when reminiscing about life events show them pictures to jog their memory. Don’t Argue with Them Instead the best technique is to redirect or validate their feelings rather than to argue. Doing so will let them know they are not alone. For example, “I understand that you want to go home. Could you tell my more about your home?” Then offer to take them on a walk. 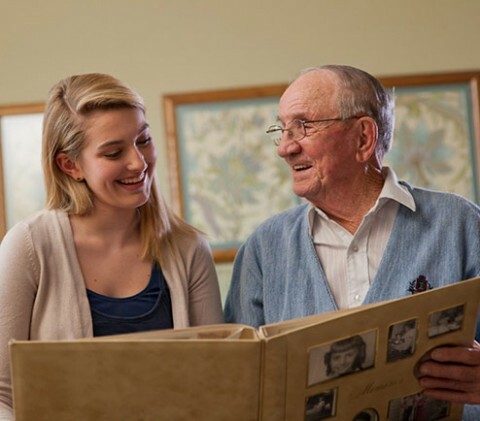 Telling them about a deceased loved one Frequently our loved ones with Alzheimer’s will ask or make a comment about a deceased family member or friend. In these situations you are uncertain whether or not you should tell them the unfortunate news. The best approach is to ask them what their favorite memories are with that person. By doing so you will redirect them into another thought, allowing them to relive their happiest memories rather than flooding them with confusion and pain. Speak Calmly and Slowly Your loved one with Alzheimer’s will mirror your emotions and they need time to process what you are saying. Speak at half your normal speed and take a breath between each thought. By doing so you will foster a better conversation and will maintain their attention. Talk About One Topic at a Time In order to avoid your loved one’s confusion and frustration speak to them about a single topic at a time. Also do not feel bad when you have to remind them what you are talking about or repeating yourself. Additionally, in order to maintain their concentration choose a setting that won’t be distracting or noisy. This will allow for a more fluent conversation. Losing a loved one is one of the most traumatic times of your life. The person you’ve done everything with is departed and thoughts of depression take over your mind. Albeit you understand that they are in a better place you are left deeply hurt that they are gone. However, know that your loved one is not truly departed, they live on in you and the ones they touched during their lifetime. So seek council in your family and friends, you should not experience this pain alone. Photo albums are a great way to review cherished times with your loved one. Reminiscing on past events can bring up happy times and laughable moments. Like that awful outfit that was stylish for the times. Everyone has a comfort food that is sure to put a smile on their face. Make your loved ones favorite dish and share it with others to see the joy on their face. The joy that once was theirs can now be shared with everyone. Revisiting your most cherished places that you and your loved one spent all of your time is a great way to review the joyous moments your shared. By writing a list of your loved ones likes it allows you to remember and review everything they loved about life. When you find it hard to remember everything that made your loved one smile review the list or do something on it. We are very proud to have been featured in the spring 2018 edition of Affordable Housing News.